Groundworks Farm | Ground yourself. Do something good for yourself and your community this year. Build Community. A CSA pickup is a community of health-conscious food-lovers who come together each week. 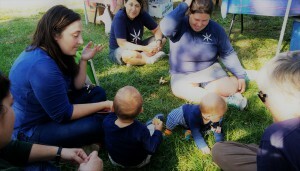 You might make new friends and see old ones at the CSA pickups or seasonal potlucks. Extra produce is donated to emergency women’s shelters in our communities. Plus, CSA pickups are fun! Connection to the land. Other than becoming a farmer yourself there is no more direct connection to your food, the people who grow it and the land that produces it than joining a CSA. Ground yourself this year.